Etching by Antonio Fantuzzi, 34.9 x 21.5 S (Vienna). Inscribed with Fantuzzi’s monogram at the bottom center. Bartsch, XVI, 1818, 353-354, 36, as Fantuzzi after Rosso or Primaticcio. Herbet, II, 1896, 271 (1969, 67), 7. Zerner, 1969, A.F.61, but Fig. 60 (Vienna), as 1543, and the design perhaps by Fantuzzi. COLLECTIONS: London, W3-176. New York, 66.658.6. Vienna, Vol. XIII, 2, p.59, no. 409. Berliner, 1925-1926, I, Pl. 117, Text Volume, 41. 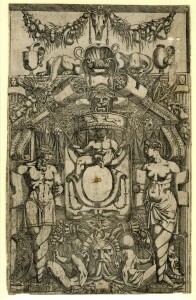 Béguin, RdA, 1969, 105, noted the two salamanders at the top of this cartouche and their relation to another cartouche by Fantuzzi, Zerner, 1969, A.F.51. Zerner, IB, 33, 1979, 255 (London). Byrne, 1981, 80, Fig. 93, 61, no. 93 (New York), as probably of Fantuzzi’s design. Although this is a remarkable, inventive, and vigorous design, its abundance of motifs so very closely set together, its degree of realism, and the somewhat grotesque but also earnest masks do not suggest Rosso as its inventor, nor, probably, an Italian. 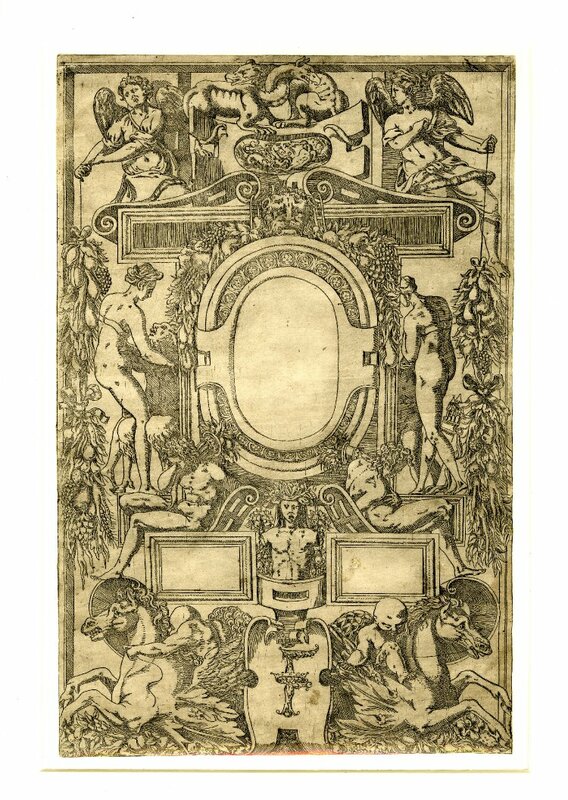 The use of salamanders above could mean that the cartouche reflects some project actually designed for Francis I, such as the decorations of the Small Gallery (L.41), to which the print closer to Rosso used by Béguin for comparison (Fig.E.82) could be related. 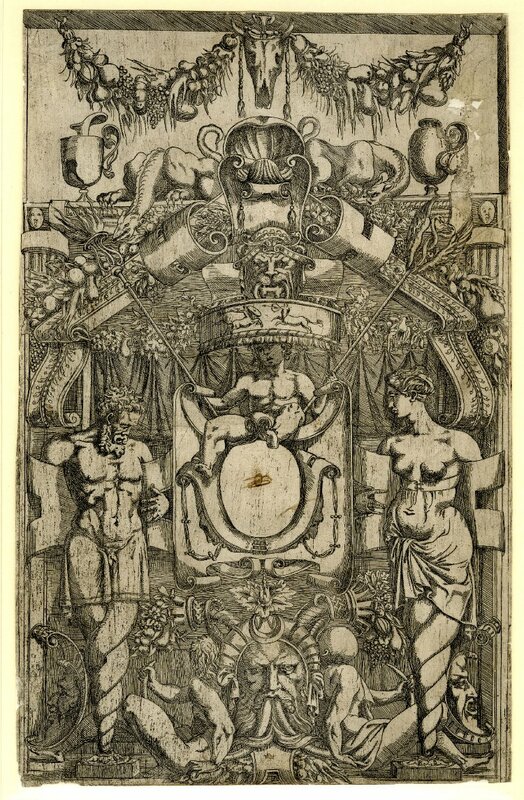 But the cartouche catalogued here cannot be attributed to Rosso; even many of its details seem foreign to him, however much the cartouche is indebted to his style.